Teaching specialty courses is a perfect way to continue growing as an SSI Instructor. Specialty courses offer variety and are convenient and easy to learn. Also, you get to teach the activities you love most! 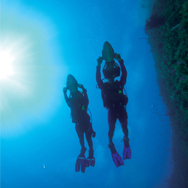 Instructors may qualify to teach specialty courses by attending one of SSI's seminars, co-teaching with an Advanced Open Water Instructor or by documenting significant experience. Instructors must also purchase the course teaching materials for the particular specialty they wish to teach. 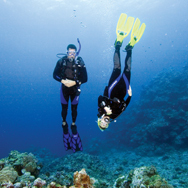 And when an Instructor is qualified to teach four or more specialties, they earn the Advanced Open Water Instructor rating. 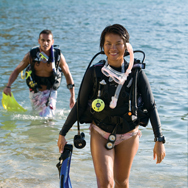 Before applying, candidates must have an SSI Open Water Instructor rating or equivalent. To receive their AOWI rating, candidates must have experience or training in at least four SSI Specialty courses. The program consists of three options for instructor training. Co-teaching: Instructors may co-teach with an already-qualified, active AOWI to learn to teach specialties. Seminar: Instructors may attend a seminar conducted by an active Instructor Trainer, Evaluator or Certifier. Application: Instructors who can document extensive experience in four specialty areas may apply to become an AOWI. 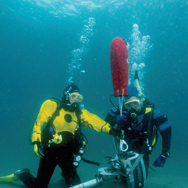 The program requires a minimum of four SSI diver and instructor specialty manuals, videos and the Teaching Continuing Education study guide. Upon graduation, SSI AOWIs are authorized to conduct the four SSI Specialty courses which they are qualified to teach. To maintain active status, AOWIs must be affiliated with an SSI Dealer and have current insurance.